Therapad Eggcrate Convoluted Foam Overlays BUY Eggcrate Mattress Topper, Eggcrate Foam Overlay, Standard Mattress Overlay, 14000CC, Joerns Eggcrate Overlay. 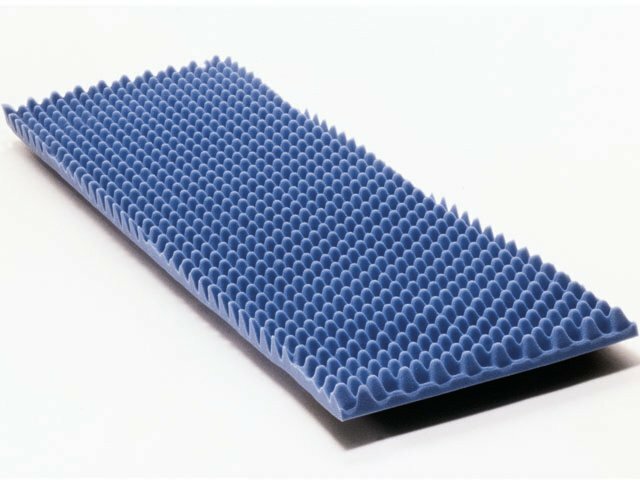 Therapad Eggcrate Convoluted Foam Overlays are Foam Mattress Toppers that are Twin Mattress Overlays designed to promote air circulation for greater comfort. These Eggcrate Overlays from Joerns Healthcare meet the needs of patients at risk for varying types of skin aliments. Convoluted Overlays distribute body weight evenly, reducing pressure and promoting air circulation for the part of the body in contact with the bed mattress surface. Eggcrate Foam Overlays are puncture-proof overlay pads that have open cell material, wave cut construction and provide greater support while dissipating heat and moisture better than fluff or mechanized pads. 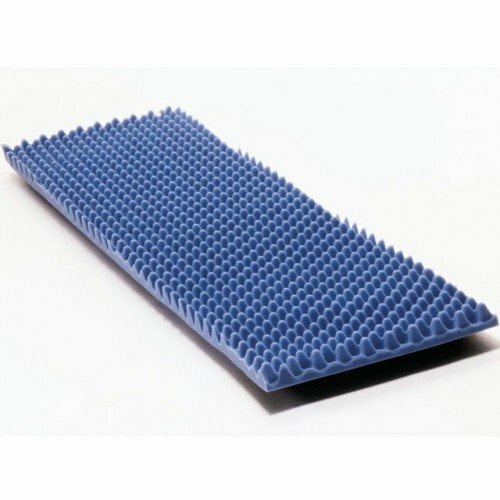 Therapad Eggcrate Convoluted Foam Mattress Topper Overlays utilize more of the body to distribute weight and are made of Twin density foam. 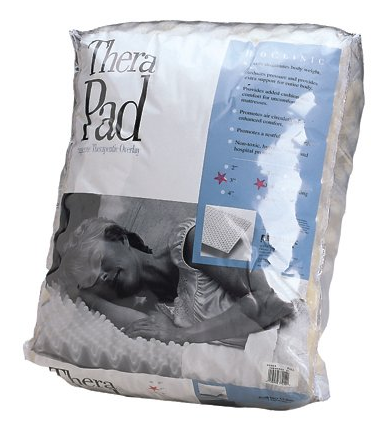 Therapad Eggcrate Convoluted Foam Overlays provide enhanced rest and sleep comfort. These Eggcrate Foam Overlays are available in Twin Mattress Size, Twin Mattress Size, Full Mattress Size, Queen Mattress Size and King Mattress Size. Body weight is distributed evenly, allowing for pressure redistribution. Proprietary Eggcrate design promotes air circulation for enhanced comfort. Helps patients at risk for varying types of skin problems. Provides relief from the stiff, aching and tired feeling of sleeping on a poor mattress. Joerns Therapad Eggcrate Overlay Product Numbers: 14000CC. Bed Mattress Size: Standard / Hospital. Application: Foam Mattress Topper for air circulation. Puncture proof pads with open cell material. Foam Design: Open cell material. This item is fire-retardant, according to the manufacturer.